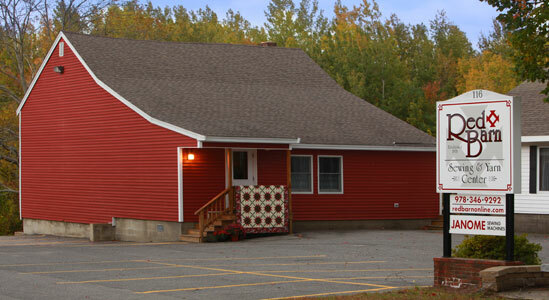 The Red Barn Sewing & Yarn Center, established in 1978, is a full- service quilt shop featuring high quality products. When you walk through the door at the Red Barn Sewing & Yarn Center you realize you have entered a Quilter’s Dream! You are surrounded by over seventy-five quilts and wall hangings that will inspire your creativity. From the novice to the experienced quilter, we have something for everyone. The knowledgeable, friendly staff at the Red Barn Sewing & Yarn Center is ready to help you select the perfect pattern, supplies and fabric for your creative project. Stop by and become inspired to create your own work of art!